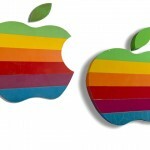 The Cupertino-based Apple is set to expand its campus in Sunnyvale, California, according to a recent report from the San Jose Mercury News. Previously, Apple had leased one single building at a seven-building complex in Sunnyvale (pictured above). However, in a development that could see almost 1,500 employees relocate to the area, the iPhone-maker has now chosen to lease the remaining six buildings at the campus. Apple intends to occupy a 290,000-square-foot office complex known as Sunnyvale Crossing that is near the corner of Central Expressway and North Wolfe Road. Menlo Park-based Lane Partners bought the complex and then proceeded with a renovation to transform the decades-old buildings into a state-of-the-art office center. This will mean seeking permission from Sunnyvale's planning commission first, but the development isn't expected to receive a rejection from the city. 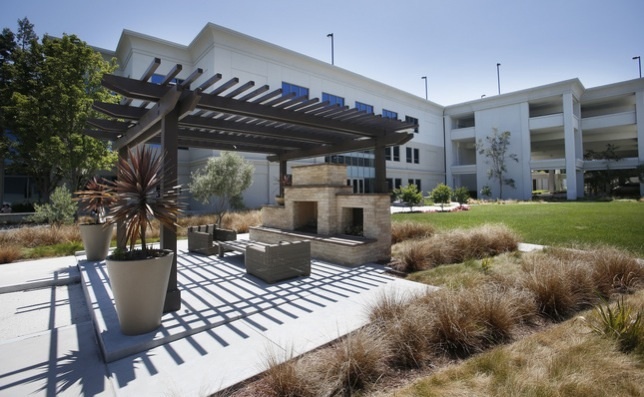 Once completed, a total of 1,450 employees could move to the updated Sunnyvale campus, the San Jose Mercury News adds. Of course, this latest information comes as work on Apple's futuristic “Campus 2” continues. 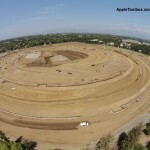 Most recently, we heard that the design of the “spaceship campus” is now visible from the air, and in March Apple sent out a letter to Cupertino residents providing information concerning the progress of its construction work. Updates are also appearing at a dedicated City of Cupertino Web page. Apple's Campus 2 is expected to open in late-2016. Besides housing the company's Cupertino-based staff, the campus also includes a 120,000-square-foot auditorium which will host Apple's annual media events (including WWDC, its yearly iPhone event, and its yearly iPad event). See also: Apple Has Renewed Its Exclusive Rights To Use Liquidmetal For Consumer Products, Run And Gun As Canabalt Meets Super Crate Box In Chillingo's Bill Killem, and Apple Can Now Retail And Market Products In Saudi Arabia.